As a team we are all very excited about the chance to help our youth on campuses nationwide. We know how important the undergraduate years are in terms of personal and spiritual development. We feel the Lord is calling us to help do what we can to make sure as many students on campuses throughout the country have the grace of a strong and positive Catholic formation during their student years. 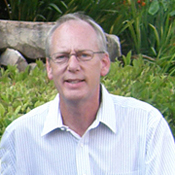 Bill is the Executive Director and spiritual leader of our team. Over the years he has been involved in numerous projects within the Church. 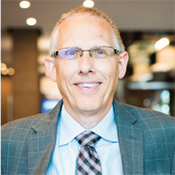 He sat on the Board of Governors at EWTN for over 10 years, is on the Advisory Board at St. Johns Catholic Newman Center, and has been involved with numerous real estate projects within the Church. In addition to managing and supporting Newman Connection, Bill also runs a printing compacy called Three Z Printing with his mom and two brothers. He is married, has five children and spends most of his spare time with his three grandkids. 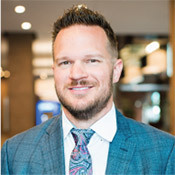 Matt is co-founder of Newman Connection and oversees all operations of the company including marketing, finance and development. He provides the vision and infrastructure needed for Newman Connection to succeed. He has helped build Newman Connection into a household name in campus ministry and the Catholic realm. Matt is dedicated to campus ministry and also runs a company that builds faith based student housing called the Newman Student Housing Fund. Under his direction, NSHF has developed a portfolio of over $25 million and become the national leader in faith based housing. Matt manages our Dallas office. Randy is our road warrior and the one many of you meet when contacting Newman Connection. He is responsible for visiting Newman Centers, building and maintaining relationships, and helping grow our client base. He has visited over 200 Newman Centers in person as well as over 25 key dioceses to help campus ministry grow within the Church. He also overseas our Spiritual Advisory board helping generate content for our Institute. Randy is married, based out of Ohio, and is an Ohio State buckeye. Hoang is our marketing guru. He is responsible for creative vision and marketing for the company. He is a very talented designer and describes himself as a marketing decathalete. Wayne is responsible for all design and marketing for the company including our website, print materials and digital strategy. He is based in our Dallas office. Megan is in charge of our high school outreach program. She helps connect graduating seniors to their respective college’s campus minister allowing outreach to begin even before the student arrives on campus. She manages our network of volunteers and diocesan directors ensuring that the program is run consistently and smoothly throughout the country. 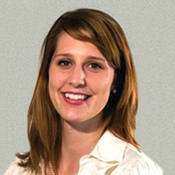 Megan is a Benedictine grad and is based in our Dallas office. She is married and just had her first son, Joseph. Michele is our office manager and coordinator. She in charge of day-to-day office operations including scheduling, data entry, and accounting. She is also our one person mailing team and is the one who coordinates and tracks all shipments to and from the company. She has helped Newman Connection spread our materials to all parts of the country and world. 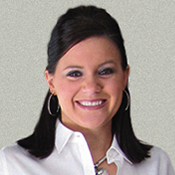 She is based in our Effingham office. Michele is married and has two little girls. The lifeblood of every non-profit lies in the people who are there to help advise with the company direction, vision, mission, and even help in execution. We believe we have a perfect mix of lay leaders and spiritual leaders to help Catholic Campus Ministry become a real strength for the Catholic Church. These members were carefully selected and elected to serve as advisors to Newman Connection and Catholic Campus Ministry. 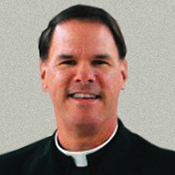 Monsignor Ketcham is the chaplain at St. Johns Catholic Newman Center at the University of Illinois. He boasts one of the largest campus ministries in the country and is one of only 4 Newman Centers to have faith based student housing. St. Johns currently houses over 500 students each year, choosing to live in a faith filled community. Monsignor ensures that these students sacramental and spiritual needs are met as he manages as staff of over 30 employees. He has been with Newman Connection since the beginning and is an avid St. Louis Cardinal fan. Fr. Tony Stephens comes to us from the Fathers of Mercy based out of Auburn, Kentucky. Fr. Tony is a young, energetic priest who relates to college students very well. He has a passion for teaching the basics of the faith, on a catechetical level and it is why we like him. He travels the states doing parish missions so many of you may have met him personally. 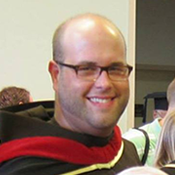 He has been with Newman Connection since the beginning and is responsible for helping provide spiritual direction and content for our Institute. 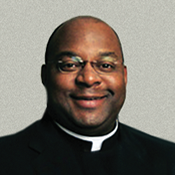 Monsignor Morris currently chairs our Spiritual Advisory Board and is responsible for the direction and vision of our Institute. 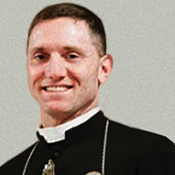 He is the Director of Sacred Liturgy and Assistant Professor in Sacred Theology at the Pontifical College Josephinum located in Ohio. He is a weekly commentator on Catholic affairs for the Son Rise Morning Show on Sacred Heart Catholic Radio in Cincinnati. 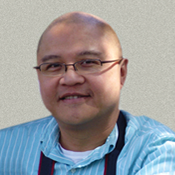 He helps Newman Connection create content for the Institute as well as helping establish a network of religious and clergy to pray and support our mission of catechizing the Church and its members. I entered the Franciscan Order in 2005 and have done the majority of my ministry in service to young adults. I was very involved in ministry among youth gangs in inner city Boston. I have taught high school, worked in parishes, and I serve on the National Catholic Committee on Scouting. Currently I minister as a Faculty member of Saint Bonaventure University (NY) where I teach in our Core-Catholic Curriculum. Saint Bonaventure University was founded over 150 years ago by the Franciscan Friars of Holy Name Province. We are the nation’s first Franciscan College.